Five metering systems are available on the Olympus E-P2: Digital ESP, Center-weighted, Spot, Spot HI (highlights), and Spot SH (shadows). All are accessed through the various menu systems on the camera's LCD monitor. Under the default Digital ESP setting, the camera takes an exposure reading from 324 segments of the image, and chooses the best exposure based on brightness and contrast across the entire scene. Center-weighted metering reads from the center of the frame, but from a fairly large area. Spot metering simply reads the exposure from the very center of the image, so you can pinpoint the specific area of the photograph you want properly exposed. (Spot metering is very handy when you have a subject that's backlit, or that has a very different brightness, either lighter or darker, than the background.) The two additional Spot options provide highlight and shadow control, whenever shooting in very bright or very dark conditions. Exposure and autofocus are optimized for faces when Face Detect is enabled. Metering range is from 0 to 18 EV, at room temperature with a 50mm f/2 lens at ISO 100. An AE/AF Lock button locks the current exposure settings whenever pressed, so you can independently lock exposure and focus. (AE Lock is useful when you want to base your exposure on an off-center subject. Point the camera at the subject, lock the exposure, then recompose your shot however you like. Your subject will be correctly exposed, regardless of what might be in the center of the frame when you finally snap the shutter.) 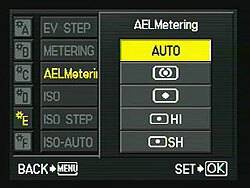 Through a Custom menu, you can designate the function of the AE/AF lock button, and how it works in conjunction with the Shutter button. You can also specify which metering mode is used when this button is pressed. Available options are Auto, Center-Weighted, Spot, Spot HI, and Spot SH. In situations where exposure compensation is necessary, simply press the Exposure Compensation button on the top of the E-P2 (next to the Shutter button) and turn either control dial or press the left and right Arrow buttons. In all exposure modes except Manual and Bulb, the exposure value scale will display on the LCD, and you can increase or decrease the exposure in either 0.3, 0.5, or 1.0 EV increments (selected via a Custom menu option), up to a maximum of +/- 3.0 EV. Or, you can use the Auto Exposure Bracketing (AEB) function to automatically bracket three frames at 0.3, 0.7, or 1.0 EV steps each. The auto bracketing will center its efforts around whatever exposure you've chosen as the starting point, including any exposure compensation adjustments you've made -- meaning that it's possible to bracket one exposure as far as 4.0 EV on one side of the metered exposure value. AEB is handy for those times when you want to make sure you get just the right exposure for a critical subject. The Olympus E-P2 also gives you the ability to individually tweak the exposure of each metering mode, via a Custom menu option called Exposure Shift. This allows you to assign a separate compensation in 1/6 EV steps between -1 and +1 EV for Digital ESP, Center-weighted, and Spot metering modes. Unlike exposure bracketing, the exposure shift function is limited to operating within the camera's standard exposure compensation range. That is to say, if you dial in a -1.0 EV exposure shift, and the maximum -3.0 EV of exposure compensation, the camera will only reduce the metered exposure by 3.0 EV -- it won't go outside of the maximum exposure compensation range to a -4.0 EV exposure. Unlike the exposure compensation function, use of exposure shift isn't indicated on the P2's record or playback-mode information overlays. White balance options include Auto, Sunny, Shadow, Cloudy, Incandescent (Tungsten), Fluorescent 1, Fluorescent 2, Fluorescent 3, Flash, One-Touch, and Custom, to accommodate a variety of lighting situations. Pressing the White Balance button and turning either Control dial or pressing on the left and right Arrow buttons adjusts the setting. The Olympus E-P2's Custom setting lets you directly specify a color temperature using the Kelvin temperature scale, from 2,000K to 14,000K. This is accomplished by first highlighting the Custom white balance menu item, and then holding down the Exposure Compensation button while turning either Control dial or pressing the left or right Arrow buttons. The One-Touch option is useful for basing the white balance on a white card. You can also adjust the white balance, controlling the amount of amber-blue and green-magenta bias in the color balance, in any of the selected modes, in +/- 7 steps. This ability to "tweak" the white balance, called White Balance Compensation, is very helpful when dealing with difficult light sources. The E-P2 also features white balance bracketing. If activated, the camera will write three separate images for each press of the shutter button, either biasing between amber and blue or green and magenta. You can set the images to vary by two, four, or six arbitrary adjustment steps. The Olympus E-P2 lets you adjust its light sensitivity in either 1 or 1/3 EV steps, within a range of ISO 100 to 6,400 ISO equivalents. There's also an Auto mode in which the camera selects an ISO sensitivity appropriate to the subject's brightness. To keep noise and shutter speeds inside your desired range, you can set both maximum and minimum ISO limits for the Auto mode, within a range of 200 to 6,400 equivalents. By default, Auto ISO is only available when shooting in Program, Aperture-priority or Shutter-priority modes, but through a Custom menu option it can also be enabled in Manual mode. This allows both shutter speed and aperture to be manually specified, while the camera varies sensitivity so as to match the metered exposure. The net result is similar to the unusual Shutter/Aperture-priority (TAv) mode we've seen on Pentax's digital SLRs, although with the disadvantage that exposure compensation remains unavailable since the P2 believes itself to be operating in Manual mode. There is also a useful ISO bracketing feature, where the camera takes three images, varying the ISO but keeping the shutter speed and aperture fixed. The higher ISO settings are helpful when you want faster shutter speeds under normal lighting, to help freeze fast action. Of course, as with all digicams, the higher ISO settings produce photos with more image noise, in much the same way that higher-ISO films show more film grain. To combat this problem, the E-P2's Custom menu offers a variable high ISO noise reduction function -- which Olympus calls Noise Filter -- with options of either Off, Low, Standard, or High. There's also a separate Noise Reduction option in the Custom menu, which reduces noise in long exposures by capturing a second exposure containing only the dark current noise, then subtracting this from the image. This effectively doubles exposure times when in use. By default, long exposure noise reduction is applied automatically on longer exposures, but the function can also be disabled or enabled manually. There are also options on the Record menu to set the color mode. As well as the Vivid, Natural, Muted, Portrait, Monotone, and Custom options found in the E-P1, there's a new i-Enhance option which automatically detects the main subject in any scene, then boosts brightness / saturation selectively for those areas of the image so as to draw your attention to the subject. 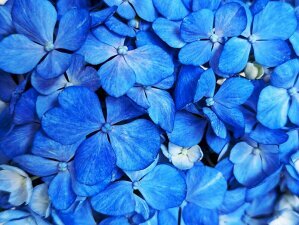 This effect is intended to better match what the human eye sees. Contrast, Sharpness, and Saturation levels may be adjusted in five steps for i-Enhance, Vivid, Natural, Muted, and Portrait; while Contrast and Sharpness levels can be adjusted in five steps for Monotone. Yellow, Orange, Red, or Green filter effects are available for Monotone, as well as Sepia, Blue, Purple, or Green picture tones. 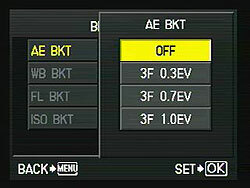 In addition, the Olympus E-P2 has a Gradation setting to control the brightness of the entire image. You can choose between the Auto, Normal, Low, and High Key settings. Finally, the i-Enhance mode offers three-step control over the strength of the effect -- High, Standard, or Low. A color space option under the Custom menu lets you choose between sRGB (for Windows machines) and Adobe RGB (for Adobe Photoshop) color options. The Olympus E-P2 supports multiple exposures overlaid as one image. You can overlay two subsequent images while they are being taken and save the result as a JPEG or Raw file. By enabling the Auto Gain feature, the camera can automatically adjust the gain so that the resulting image is averaged from the source images . Alternately, the result can be additive (as it would be in a multiple exposure shot with a film camera) if auto gain is left disabled. It is possible to combine more than two images by using the Overlay function, which allows selection of any preexisting Raw image to use as a starting point for the multiple exposure. By saving each multiple exposure as a new Raw file, it's possible to combine an essentially unlimited number of exposures into a single image, although doing so requires the overlay image to be manually reselected through the menu system after each shot, a somewhat tedious process that requires at least seven button presses. When shooting static subjects -- or those where blurring is desirable, such as waterfalls -- the auto gain function can also be used to reduce image noise in-camera by averaging it out across multiple exposures. This technique allows the use of higher ISO sensitivities than might otherwise be advisable, and the optional RM-UC1 tethered remote cable release can be used to prevent the camera being moved between shots. Uunfortunately, the cable release doesn't allow navigation of the menu system, which would be required to merge more than two subsequent exposures in-camera. The E-P2 offers one further method of creating multiple exposures through its Playback menu Image Overlay function. This allows selection of either two or three Raw images which are then combined into a single combined image, which is saved as a new Raw file. This allows a greater degree of control over the combined image than the Record-mode multiple exposure function, since the brightness of each source image can be adjusted separately in twenty steps. The Drive setting accesses Single-shot and Continuous modes, as well as Self-timer modes. Single-shot shoots one frame per shutter press, while Continuous mode shoots bursts at about 3 frames-per-second. As is usually the case, the number of frames you can capture continuously is limited by the camera's buffer memory capacity, the speed of your memory card, and the image file size and quality. The Olympus E-P2 also offers two Self-Timer modes for self-portraits or those occasions when you don't want to risk camera shake on a long exposure by pressing the Shutter button to trip the shutter. You can choose between a 2 or 12 second countdown. The 2 second countdown is useful for times when you're taking a long exposure with the camera on a tripod. Surprisingly for a camera without a mirror, there is also an Anti-Shock option, which allows a programmable delay from 1/8s to 30s between the shutter button being pressed and the actual exposure taken. When the optional RM-UC1 Remote Cable is attached via the USB-AV/OUT port, remote operation is available. No wireless remote is available for the E-P2. Like many of the companies other SLR and SLD cameras, the E-P2 implements what the company calls Shading Compensation -- another term for lens vignetting or corner shading correction. Canon and Nikon offer a similar feature on some of their recent models, and it's nice to see the Olympus E-P2 does too. It's not clear whether the camera applies fixed compensation based on lens type, or by analyzing the actual light fall-off in the corners of captured images. Like the E-30 and E-620 SLRs, the Olympus E-P2 offers what the company calls Art Filters effects. There are eight to choose from, two more than were offered by the E-P1. As well as the Pop Art, Soft Focus, Pale & Light Color, Light Tone, Grainy Film, and Pin Hole filters of the previous camera, the E-P2 includes Diorama and Cross Process filters. What's unique about these is that the camera performs these filters as it captures the image, taking them into account when determining exposure variables. The effect is also previewed on the camera's LCD or electronic viewfinder while framing the shot, although in a couple of modes the preview is rather coarse, and greatly slows down the live view. The Diorama filter is the worst offender, slowing the live view down to around two frames per second, and the Pin Hole filter also brings a significant slow down. As one might expect, Art Filters are not applied to RAW files. If RAW mode is chosen, the camera will automatically enable LN+RAW mode, and save the modified image as a large/normal JPEG. For the two new filters, Diorama blurs the top and bottom of images to simulate shallow depth of field, while Cross Process yields surrealistic colors much like the effect achieved by cross-processing positive transparency film in chemicals intended for negative film. The images above were taken from our standardized test shots. For a collection of more pictorial photos, see our Olympus PEN E-P2 Photo Gallery .